The HRTC bus I took was really efficient. It covered the on-ticket distance of 370 kms in 8 hours time, including two breaks of 25 minutes and 15 minutes respectively. 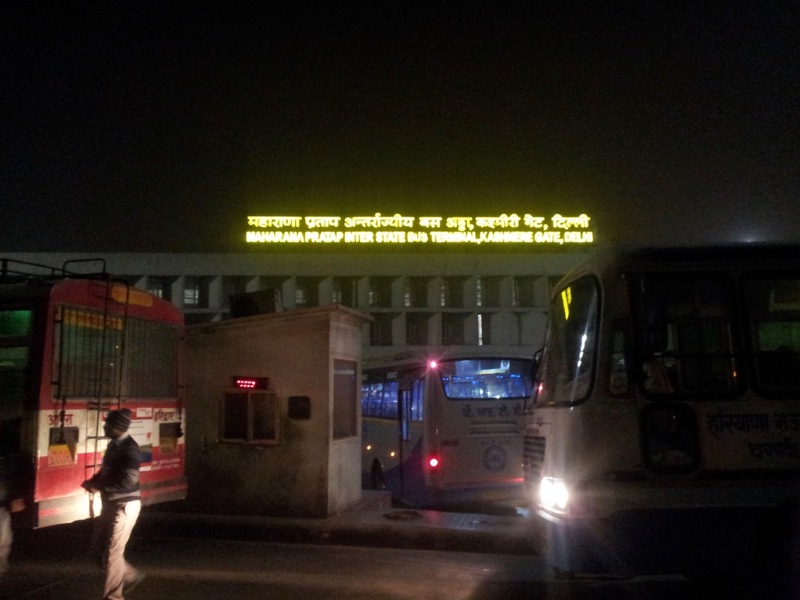 It dropped me at ISBT Kashmere Gate at 5:30 am. Delhi was still covered in fog and I did not want to travel in the darkness. ISBT Kashmere Gate in the morning. I took this photograph at 6:30 am. Delhi was still in darkness. BSNL provides service in Delhi via MTNL-Delhi, which calls its mobile network Dolphin. As a result, the 3G was pathetic. I swapped the sim in my smartphone with a Vodafone one and I was back on the grid. Amit Prabhakar, a friend of mine had promised to meet me. Well, he had promised to cover the final ten days of this trip with me, too. Circumstances prevented him from doing so. At least he did not break his promise this time. I met him and his two brothers. 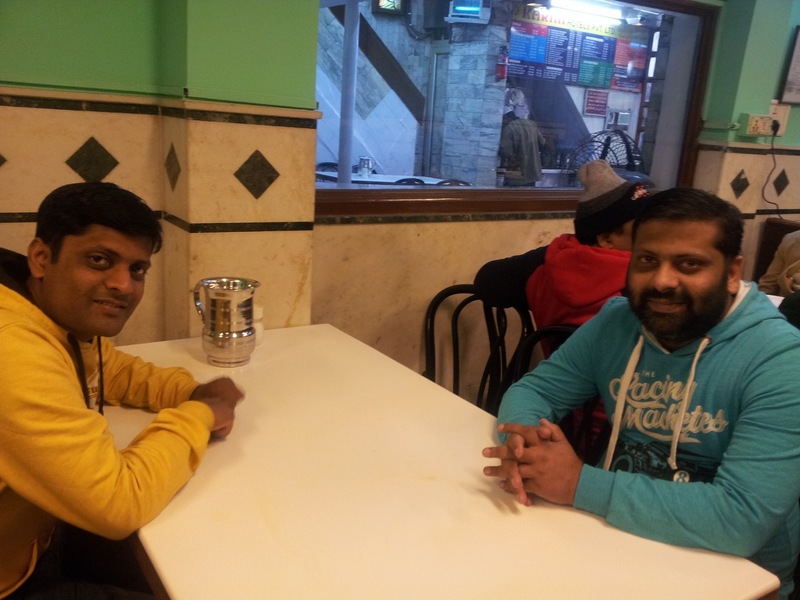 One of his brothers accompanied us to the Jama Masjid area to have Karim’s biriyani. This shop’s entrance is through a small alleyway on the road opposite to Jama Masjid’s gate 1 and it’s easy to miss. However, you can ask anyone and they will show you. 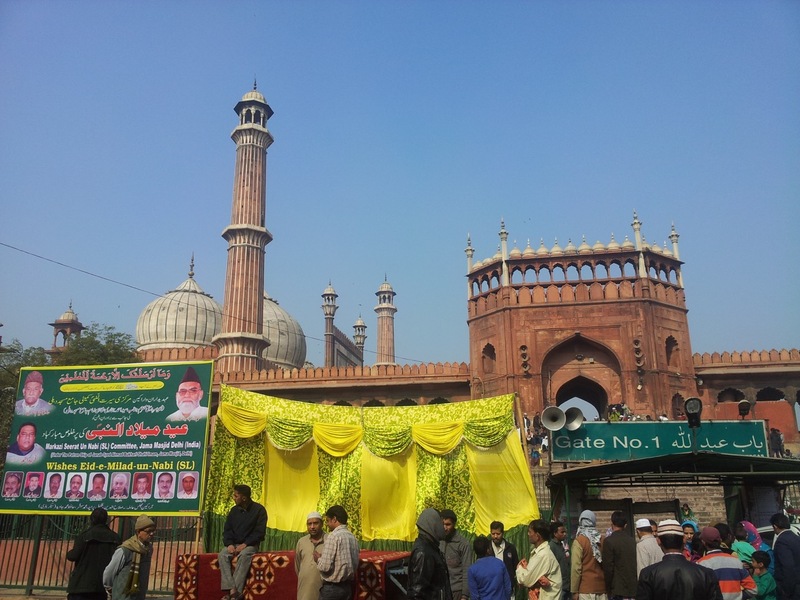 Jama Masjid from gate 1. Amit and his brother, Achyut at Karim’s Hotel. Let me tell you, the hype isn’t worth it. I have had better biriyani at places that I wouldn’t even recommend others. If you want to have good biriyani anywhere in India, head over to Samarkand in Bangalore. With about an hour to spare, I was at Airport Terminal 1D. The metro in Delhi is extremely efficient and the connectivity is very good. At 5:30 pm, I was at my home in Kolkata, thus ending my 20 day long solo backpacking trip. Himachal is a beautiful state. People are more than willing to help a traveller. All one has to do is ask. There were cases where a shopkeeper / cafe had recommend their rival’s place because an item wasn’t with them. The crime rate is also very low. People struggle a lot to survive in the hills. This characteristics is true for almost all human beings who have made the hills their home. Himachal is no exception. The inhabitants call their place as Devbhoomi Himachal (God’s place Himachal). There are more temples, Gurdwaras and Monasteries than humans or gods can handle. The mythology and history encompasses the stories of the Mahabharata and Ramayana, the Sikh Gurus, the Padmasambhava and the more recent history of Tibetans in exile. If I have to cover the same ground, I would do some improvements. Firstly, I would use Dharamshala as a central location and cover the grounds of Palampur and Kangra from there. Secondly, I would make a proper pit-stop at Rewalsar. Finally, the other alteration would be to extend my stay at Kasol. If I had made this trip in the summers, I would have definitely done more treks. Parashar Lake from Mandi, Tosh and Malana from Manikaran would be three of them. Then there are innumerable routes from Manali and Dharamshala that one can explore. The snow had also prevented me from hiring a bicycle at Manali. 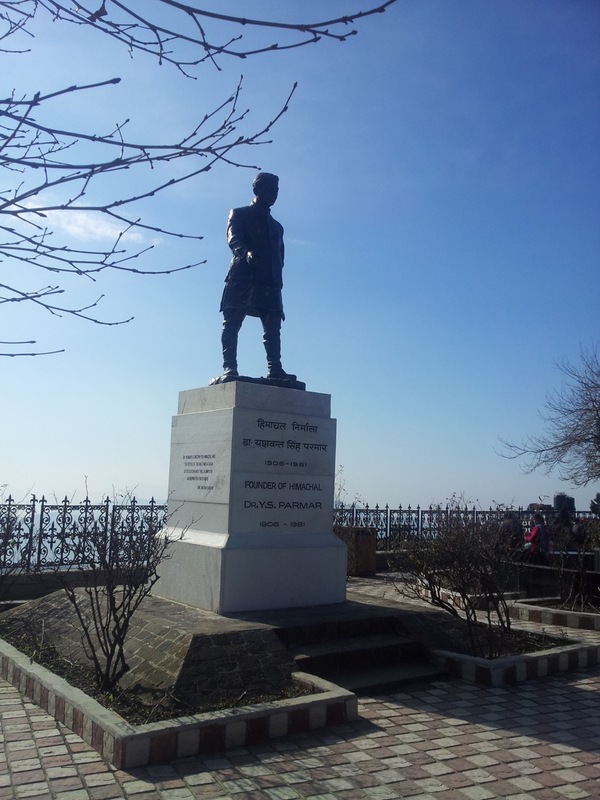 An idol of the founder of Himachal Pradesh, Dr. Yashwant Singh Parmar, at Shimla.